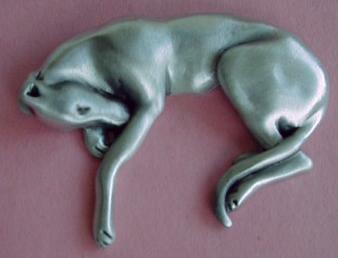 This gorgeous sleeping Iggy was created by Terry Lerner. Measurements are: 2" x 3". It is made of top quality American pewter. This item benefits the IGCA Health Fund. Price is $29.00, including shipping.